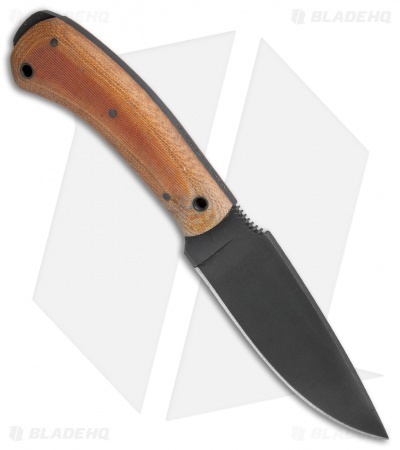 This WKII Woodsman knife has a tan Micarta handle and an 80CrV2 steel blade with a Caswell finish. 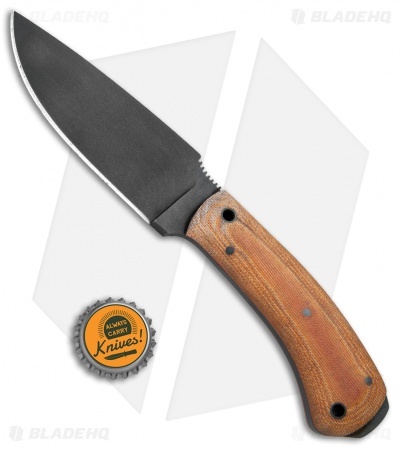 The Winkler Knives Woodsman is a hunting/outdoor fixed blade with added features for the "Woodcraft" lifestyle. It sports a practical drop point blade with deep notched jimping and a skeletonized extended full-tang. 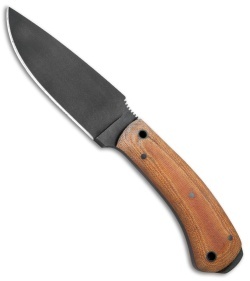 The handle is contoured to provide a grip that is both secure and comfortable through extended use. 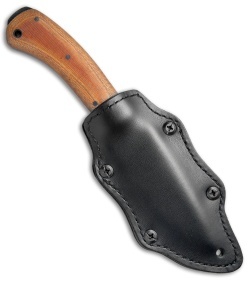 Each Woodsman knife includes a Kydex lined leather sheath for vertical or horizontal carry. No-glare Caswell blade treatment offers added corrosion resistance. Squared blade spine for use with a Ferro Rod. Multi wear leather covered/lined Kydex sheath.